Hiring talent has become highly transactional. The tedious candidate searches, the endless scheduling, and the repetitive screening can be inefficient and mind-numbing. It’s time for a new era of recruiting that focuses on the more gratifying parts of the job — the human part, the strategic part. Today we are excited to share the 2018 Global Recruiting Trends report, revealing the four big hiring trends that are doing just that — killing the transaction, making hiring more strategic, and letting recruiters and hiring managers focus on discovering high-potential talent. Below is a brief overview of each one, but for the full scoop and an overview of how companies are implementing these ideas, make sure to download our 2018 Global Recruiting Trends report. Diversity used to be a box that companies checked. But today, diversity is directly tied to company culture and financial performance. Our data shows that 78% of companies prioritize diversity to improve culture and 62% do so to boost financial performance. Key forces are at play here: changing demographics are diversifying our communities, shrinking talent pools for companies that don’t adapt. Growing evidence that diverse teams are more productive, more innovative, and more engaged also makes it hard to ignore. However, when it comes to fostering diversity, very few organizations have cracked the code. Despite all of the buzz, most companies still fall short of their goals and the public’s expectations. Our data shows that the main reason why is that recruiters and hiring managers can’t find enough diverse candidates. But this may be a problem of perception — many female engineers and black product managers exist, for example, but companies may not be looking in the right places. The next-biggest challenge is retaining those diverse hires once they get hired. Despite these challenges, there are companies that are making meaningful efforts and achieving results. Three such organizations that we identified are Walgreens, Lever, and Pandora. Each of them does things slightly differently but some common themes to success are building diversity, inclusion, and belonging from the inside out. This means investing in current employees through supporting ERGs (employee resource groups) and giving them platforms for expression, while also securing strong executive backing. Only then do they focus on diversity of the pipeline and follow a set of clear principles. To read the detailed stories of each company and get more data, browse through the full report. 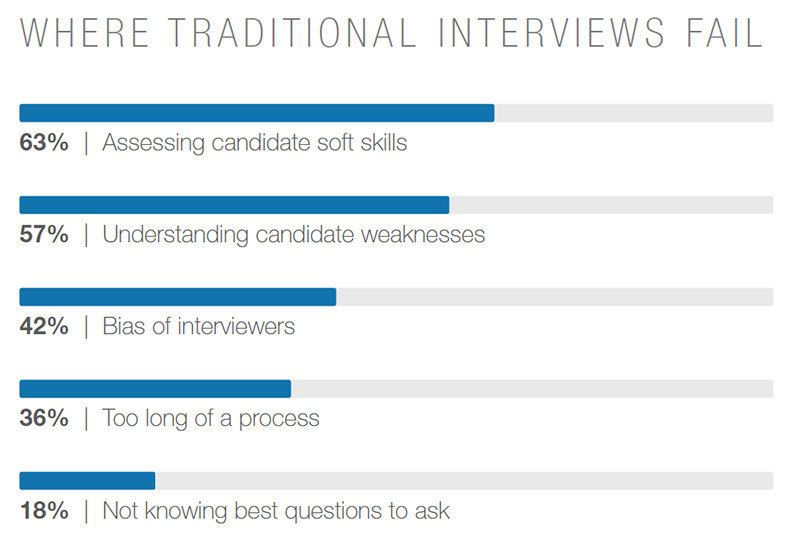 Traditional interviews are not going anywhere any time soon, but they have been proven to be an ineffective way to read candidates. They can even undercut the impact of more useful information and introduce more bias. For example, attractive and charismatic interviewees aren’t necessarily more capable, but we unconsciously assume they are. In our survey, respondents noted the bias problem in traditional interviews as well as their limited ability to assess soft skills and weaknesses. It’s hard to evaluate grit in a candidate or spot disorganization simply by having a chat. Online soft skills assessments measure traits like teamwork and curiosity and give a more holistic picture of candidates earlier in the process. Citi, for example, has implemented such assessments for its campus recruiting program, leading to more diverse candidates and a better understanding of their talents. In job auditions, companies pay candidates to do real work so that they can observe skills in action. Citadel designed day-long job auditions in which about 100 students compete for cash by solving real business problems with data. Casual interviews typically take place over a meal and can offer a unique look into a candidate’s character. A famous example is the CEO of Charles Schwab who takes candidates to lunch and asks for the restaurant to mess up their orders on purpose. There are plenty of other examples of companies creatively adapting this concept. With virtual reality (VR), companies immerse candidates in simulated 3-D environments to test their skills in a standardized way. Lloyds Banking Group has been a front-runner in this aspect and has seen great results when it comes to reducing bias and engaging candidates. Video interviews can be recorded or live and help by tapping a broader talent pool in far less time. KPMG Australia is a great example of a company who has implemented them for its entry-level hires and seen increased efficiency. Talent acquisition has always been a people profession. But nowadays it’s a numbers profession too. Our research shows that most recruiters and hiring managers use data in their work now and even more are likely to use it in the next two years. Now, it’s true — data informing talent decisions isn’t a new concept. But what is new is the volume of data available and the speed with which it can be analyzed. 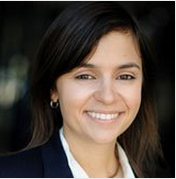 What’s new is that data can be used to predict hiring outcomes, not just track them. What’s new is that data can power machines to make smarter recruiting decisions for you, a.k.a. Artificial intelligence (AI). The most sophisticated companies are piecing together every bit of data they have to try to compete. Just as they might have a social media strategy or an events strategy, they now have a talent intelligence strategy too. Aside from helping your company make more strategic decisions about talent, data can also be a fantastic way to elevate your role as a talent professional. When everyone else is throwing out opinions about whom to hire, how to hire, and where to hire, you can sit at the proverbial table and point to the facts. Thus it’s no surprise that 69% of talent professionals believe using data can elevate their careers. To make the concept of using data even more tangible, the Global Recruiting Trends report highlights the stories of companies like Novartis, Nielsen, Jetblue and others, and shows what data they are using and how they are using it to make a difference for their business. Admittedly, this is one of the trends that everybody talks about but very few companies or professionals understand its impact or what it really means. The truth is that Artificial Intelligence (AI) has taken a strong foothold in recruiting and will likely continue to take over some of the more repetitive aspects of your job. For example, there is already software (including LinkedIn Recruiter) that lets you automate candidate searches and quickly find prospects that match your criteria. 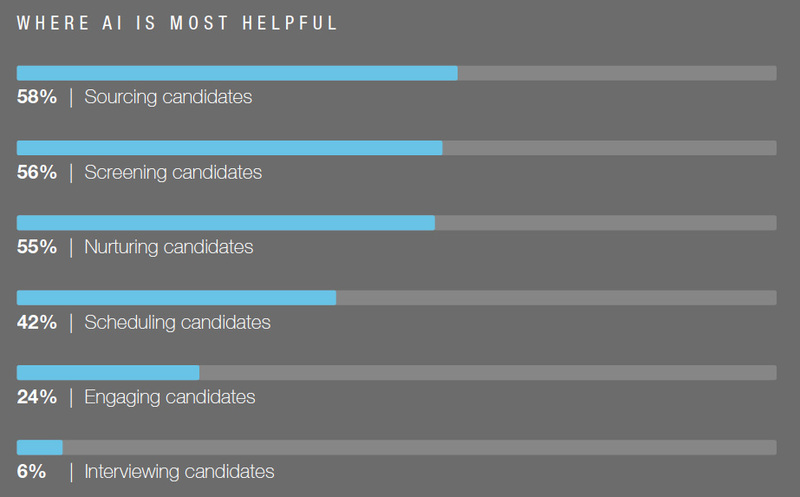 Other technology can help you screen these candidates before you even speak to them. Chatbots can respond to candidate questions so you don’t have to. Multiply the effects of these examples and the time-savings is huge. For the more complex aspects of your job — engaging and interviewing candidates — it’s no surprise that AI is seen as less helpful. Based on all this, could a robot do your job? Sure, parts of it. But AI replacing you altogether isn’t happening, and there is little concern it will. Only 14% of talent acquisition professionals think that AI will take away their jobs, according to our survey. 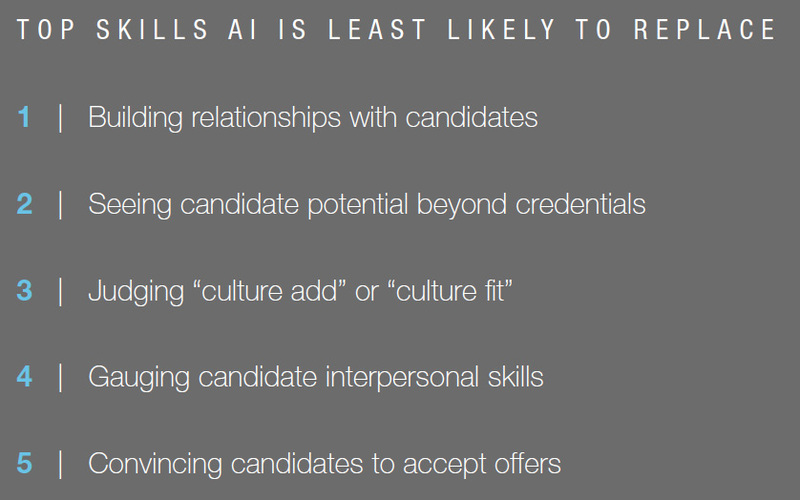 In the report, you can see how Intuit, Vodafone, and hub:raum are already implementing AI in their recruiting processes and the benefits they are experiencing. These four trends are just the beginning of what we predict is a movement to make the transactional recruiter obsolete. To stay alive professionally, you have to embrace them. Let artificial intelligence do your tedious tasks so you can focus on building relationships. 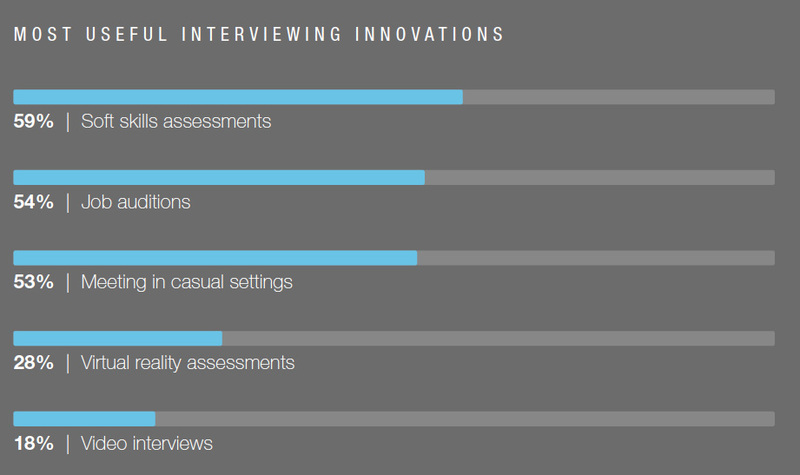 Use new tools in your interview process so you can find top talent faster. Keep your eye on the data so you can make smarter decisions. Bake diversity into your culture so you can fuel growth. As you think about these trends, remember that you are not in it alone. There are many companies exploring them and trying to see what works. 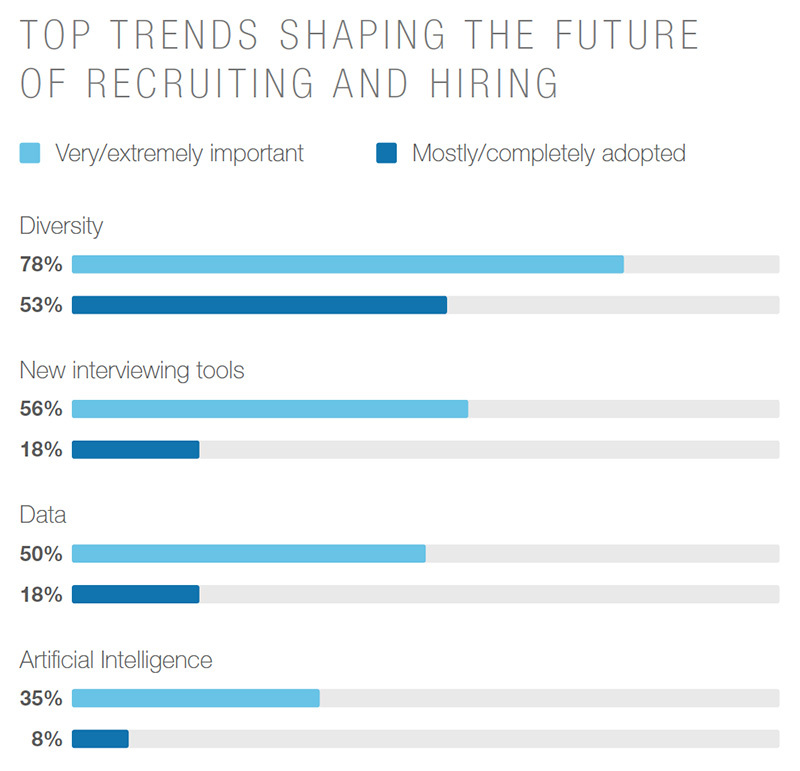 The 2018 Global Recruiting Trends report is meant to arm you with the data and examples to make the leap and venture into this bold future of recruiting.